There Are Several Types of Industrial Doors That Are Suitable for Use in Barns. Depending on the space available to the sides of your opening; or indeed, the head height above, will determine which barn doors could be considered for your opening. Some of you might prefer a door which blends in with the rest of your building, such as this bespoke one here. If security is your priority and you have windows in your barn, roller shutters are ideal for providing that extra peace of mind. 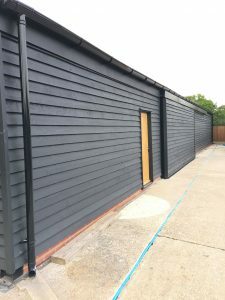 Why not head over to our latest Project page to see an example of a roller shutter barn door installation; also see other examples of doors which can be suitable. Alternatively, Call Us for further advice or fill in our Enquiry Form.